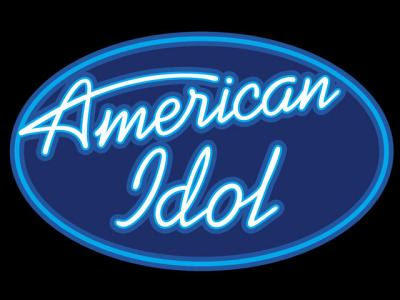 Two Things About American Idol : Reform worship. 1. Did anyone hear the contestants sing "Shout to the Lord" to close Idol Gives Back last night? What did you think? I would probably have a different opinion about this if I didn't witness it firsthand, but it made me very happy to watch them sing it live. Immediately before they sang it, Mariah Carey sang about her Jesus, and immediately after "Shout to the Lord" Ben Stiller cussed and cussed, not about the song, but something totally unrelated. Were the producers just throwing a bone to the evangelical audience so as to include all worldviews in the show? Probably, but I was still happy to hear it, even though they did change the second word from "Jesus" to "shepherd." 2. I submitted a song to American Idol Songwriter, but it wasn't chosen as a top 20 song. Click here if you want to listen to my song, then click here to listen to the top twenty (you'll have to register to vote, but you don't have to vote). I really tried to write a shallower song than I normally would, but I guess it was still too deep. I should have used the word "dream" or "moment" or "believe." Oh well. Were you there? At the taping? What do mean "if I didn't witness it firsthand"? And what did Ben Stiller cuss about? after watching last year's episode, we deliberately skipped the fundraiser this year. as much as i can imagine that i would've like to seen/heard their rendtion, it's probably better that i didn't. i didn't think it was too deep, but suspected that they wouldn't dig the religious rhetoric. a christian artist won last year (as i'm sure you know), but his song was noticeably void of religious overtones. Way to go Darlene Czech (or however you spell her last name). I am sorry you didn't make it in the top 20. Well done. I've not yet heard a song of yours that I didn't like! Thanks for building the Body with your ministry. I pray Jesus keeps filling you to overflowing for his people's sake! ...and yours!